PHP is an acronym for Hypertext Pre-Processor, which is a very popular scripting language that is made to develop dynamic web pages and applications like shopping carts, login pages, etc. It is well known for its open source and developer friendliness. The PHP code is inserted into the HTML source of a website and then it is run on the hosting server than on the browser. The websites which are created with PHP are fully compatible with mobile devices like iPhone, iPad, Android devices, etc. because PHP is a universal language. It enables web pages to be dynamic and it helps to make, websites look more interactive. Many popular websites like Wikipedia, Facebook, Yahoo, Flickr, WordPress, etc. are written in PHP. PHP is interpreted on the web hosting server side, therefore, it needs to be hosted on a server that supports PHP. It is crucial to check with your web hosting provider if the hosting plan you choose has PHP processor module. 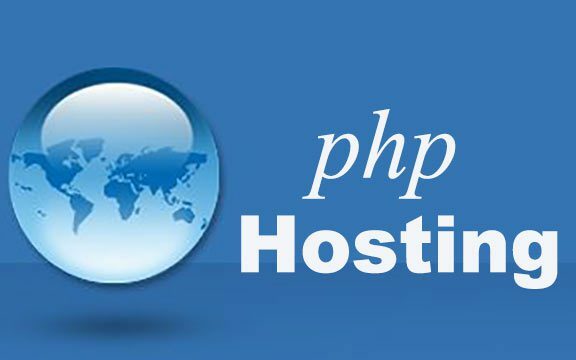 The software of PHP is free to download and is released under PHP license, but again you have to make sure if your web hosting plan is PHP compatible. Going back to history, PHP was developed by Rasmus Lerdorf in 1995 when he wrote many CGI (Common Gateway Interface) programs, which he used to maintain his personal homepage. Later on, he used it for web forms and to communicate with databases and named it as Personal Home Page/Forms Interpreter. This helped in building simple and flexible web applications. Let us compare PHP with other scripting languages. ColdFusion is only available on Win32, Linus, Hp/UX and Solaris while PHP runs on every platform. ColdFusion has a very easy interface and it is meant for non-programmers, whereas PHP is meant for programmers. It is very easy on ColdFusion to get started, but on PHP, you will need some programming knowledge. ASP is an acronym for Active Server Pages and it is said to be very slow and uses a heavy language compared to PHP which is very easy to understand. The resources on ASP are very limited and if you need advanced features, you have to buy additional components like interacting with FTP. The disadvantage of ASP is that its patent is only used on Microsoft Internet Information Server (IIS). PHP as said before is less confusing and more flexible and is easier to understand, whereas coding in Perl is very difficult and it loses flexibility which makes it hard for editing the code. PHP anytime is much better in all aspects and makes things less complicated than Perl is. Perl has been around since the eighties but now PHP is also coming up quickly. Majority of websites are PHP bases because it is an open source and is very flexible, but this is not the only advantage of PHP hosting. PHP is very cost effective and yet scalable. Since it is an open source, it is free of cost. Upscaling and downscaling your website with PHP hosting is very easy and can handle traffic hike too. You can spin new servers when the traffic load increases and also pay for the time that you used them. It is like the pay-as-you-use business. Depends on the site you use, it can help scale your memory on your own and additionally there is no limit of memory storage and performance scalability. It will allow collaborative work and also give you full control of PHP environment. PHP supports all the crucial web servers like Apache, Microsoft IIS, Nginx, MySQL, etc. it also supports personal web servers and Netscape. All you have to do is select your version and applications that you want because PHP is flexible and can interact with all the databases. The most popular combination is PHP with MySQL. It also integrates with HTML and CSS without extra plugins or software. If your site runs on CMS (Content Management Systems) like Drupal, Joomla or WordPress then PHP is a must. It also meshes with coding frameworks like Cake PHP, Zend Framework; open source programs like Mambo, SugarCRM; E-commerce frameworks like Magento, ZenCart, and Virtuemart. The management of PHP is easily available on Cloudways. If you choose managed PHP, you will have constant support from cloud engineers that can manage and create custom cloud as per your needs. In case you are stuck anywhere, you do not have to worry because you will easily get support, as it is used by a huge number of people. Managed PHP servers automatically handle security for your site, therefore you don’t have to worry about malware that may hit your site. Many hosting providers offer the best security which includes data integrity, privacy, and data protection. Your site’s performance will be really fast and during high loading times, it won’t put a strain, since PHP is very light on server resources. Your overall user experience decreases when your site consumes a lot of resources just to load a page, additionally, it will also increase hosting cost. PHP servers automatically backup your data every day. You do not have to worry about losing your data since it provides backup every 4 hours and also has an option where you can tell them when you want to backup your data. These are only a few advantages of PHP hosting. PHP can run on both UNIX and Windows servers. For e-commerce websites, everything that matters is website load time and conversion rates, this is one of the biggest advantages of PHP that is decreased website loading times, which in turn improves conversion rates. It has a powerful output buffering that improves the output flow. If your site is built on PHP frameworks, then PHP web hosting is the best option for you. Moreover, it is free, secure, reliable, dynamic and flexible.